If you are looking for a way to easily add medieval flair to your surroundings, our knight home decor and gifts are made for such a need. We offer an impressive range of medieval home accents styled either with armored knight imagery or cleverly crafted to resemble the very armor of a historical knight. Check out medieval knight goblets and tankards, Crusading knight bookends, knight wall plaques, knight banners, knightly sword letter openers, and much, much more. Many of our knight home accents feature the noble warriors in full historical armor, detailed down to each plate, while others reveal a more fantasy-inspired style. 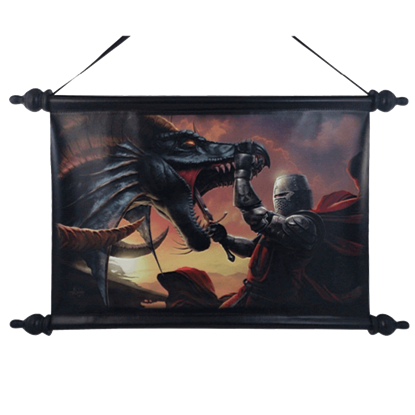 No matter your home decor needs, if you are looking to give your home or office a medieval makeover, our knight home decor and gifts category is the place to look. What can be better than watching a medieval knight riding his horse into battle? Why, drinking a tasty beverage while you are doing so! 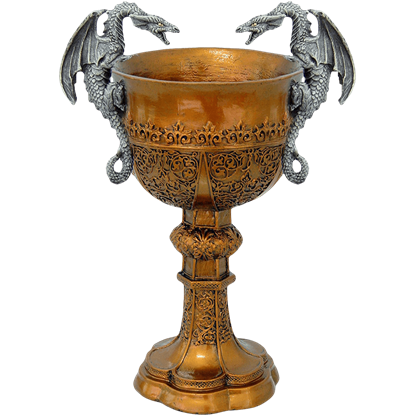 With the Battling Medieval Knight Goblet, you can experience both of these at the same time. Clad in bright gold armour and banner in hand, Joan of Arc leads her forces into the fray as god rays pour down from darkened clouds. 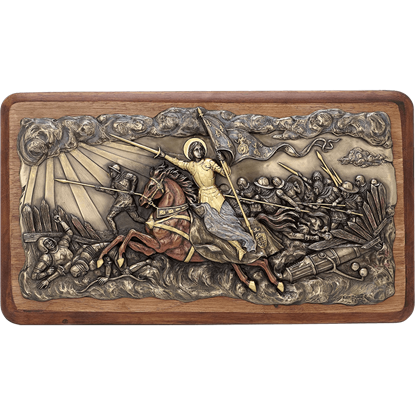 The Bronze Joan of Arc Into Battle Wall Plaque depicts this scene captured in cold cast bronze. This noble knight will save the day with your favorite incense in hand! 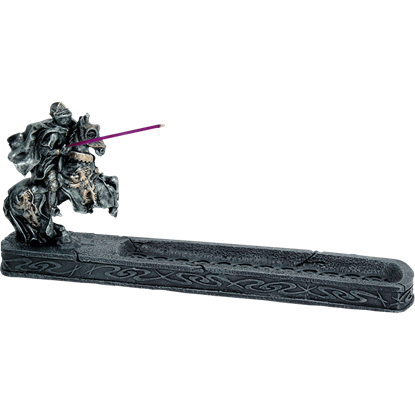 The Cavalry Knight Incense Burner is a phenomenal way to enjoy stick incense in a truly medieval style, with its hand painted, weathered colors and unique design. The tale of King Arthur is one of the most well-known stories to grace mankind. With his legendary sword, he valiantly led the world into an era of peace. Toast to the magnificent king of Camelot with the Chalice of King Arthur! 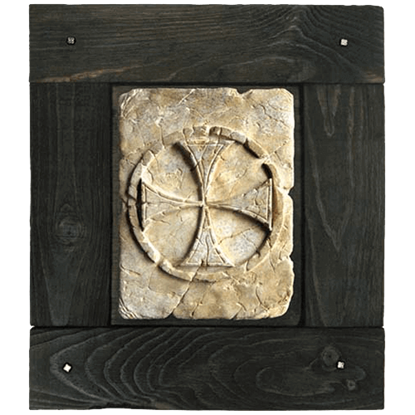 The Cornice for Templar Tile by Marto is an elegant, simple solution for anyone looking to display their Templar tiles. It is perfect for showing off any of the MA- or Marto made tiles that we offer on our site. 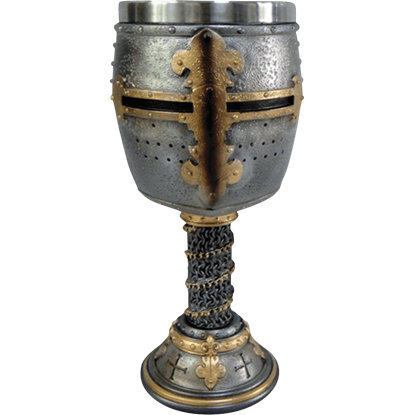 Conquer the holy lands for king and country with this Crusader Goblet! 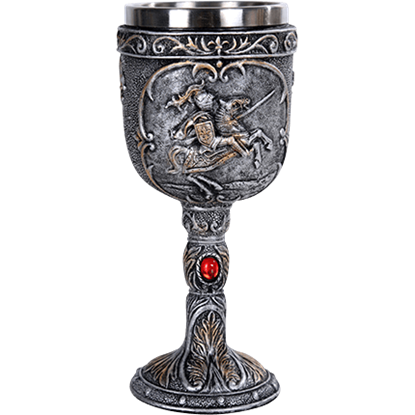 Cold cast from the finest resin, this Templar helmet shaped goblet is painstakingly hand painted, resulting in a highly detailed, quality drinking cup. Anyone who dares sneak a book from your shelves will have to face these mighty warriors! 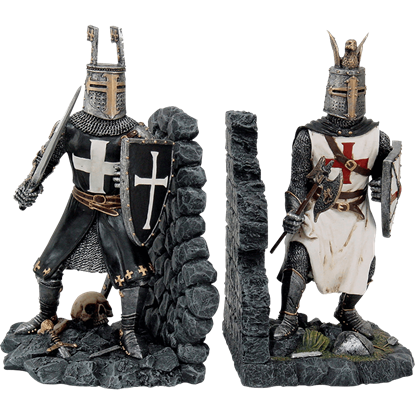 The Crusader Knights Bookend Set features two unique knights, alike in their readiness for battle, on bases that look like medieval castle walls. To have perished on the battlefield would be the most honorable death for the late king Arthur. 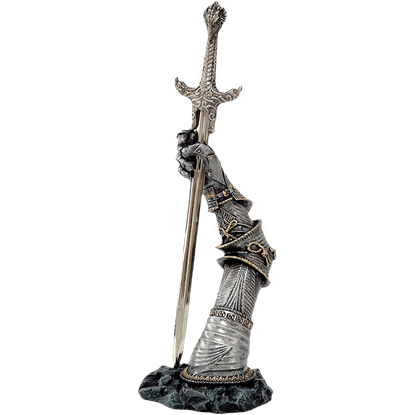 In a final act of defiance, he raised Excalibur in honor of his fallen warriors in the Excalibur Letter Opener with Armored Arm Stand. 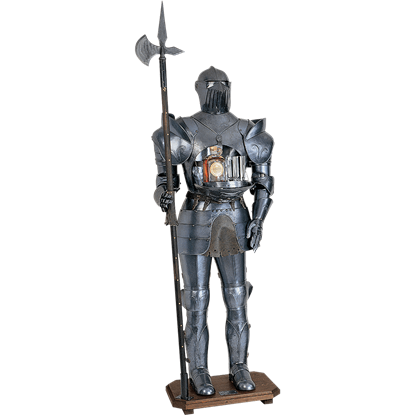 Doubling as a spectacular decoration and an elegant home bar, the Full Suit of Armor with Fold Down Drink Bar is a beautiful replica of 15th century Italian-made armor that is capable of storing bottles and glasses within its chest. Regaled in full armor, this Knight approaches the field on his noble steed. The Gallant Knight is ready to fight to the death for the honor and favor of his Maiden. 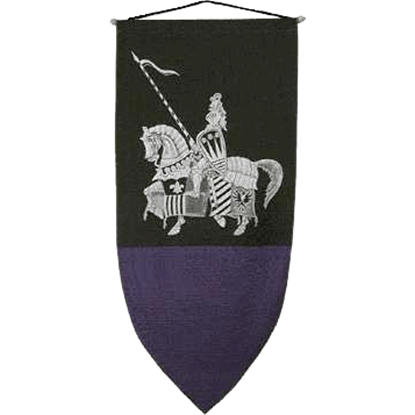 The Gallant Knight Banner features a black top with purple bottom. Hold the door, this knight was instructed, and hold it he shall against all opponents. 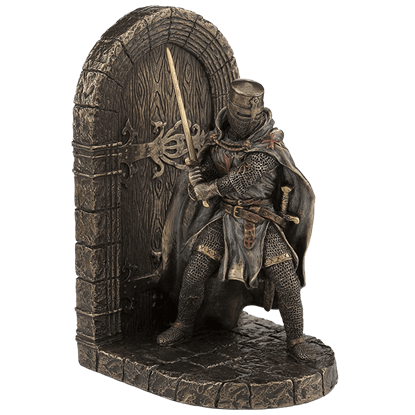 His face obscured by an enclosed helm, this Great Helm Crusader Guarding Door Bookend will also hold your favorite military history books upright.